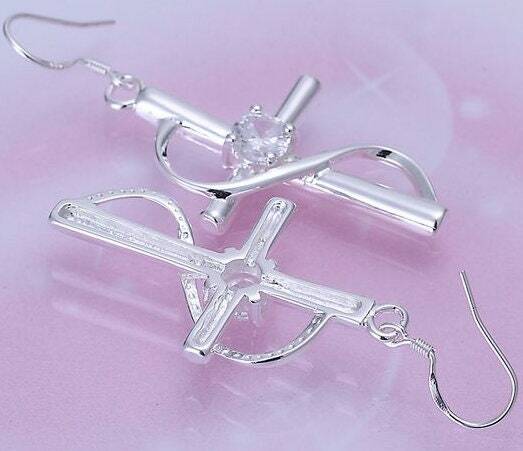 These are fashion cross earrings are both elegant and truly beautiful. 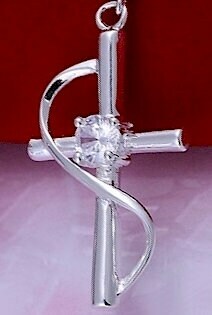 The earrings are made with a reflective twisted bands that surround Rhinestone and Cross. 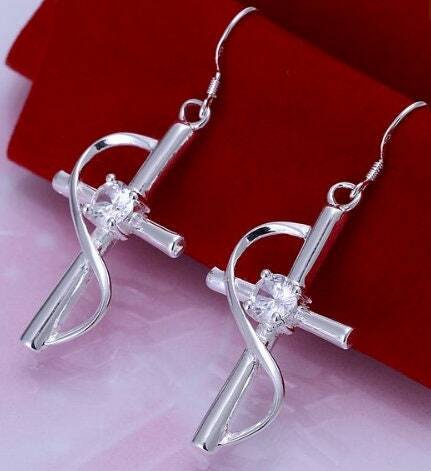 Silver Plated Fashion Infinity Twist Infinity Jewelry Inlaid Rhinestone Crystal Cross Earrings. Each Cross Measures 1 1/2" x 7/8"
Necklace comes with an 18” adjustable silver bead chain and lobster clasp. Earrings come with complementary ear backs. A Saint Michaels Jewelry exclusive design that you will find no where else!